Many More Sheriffs Vow Not to Enforce Federal Gun Control Laws -- says a new InfoWars.com article! 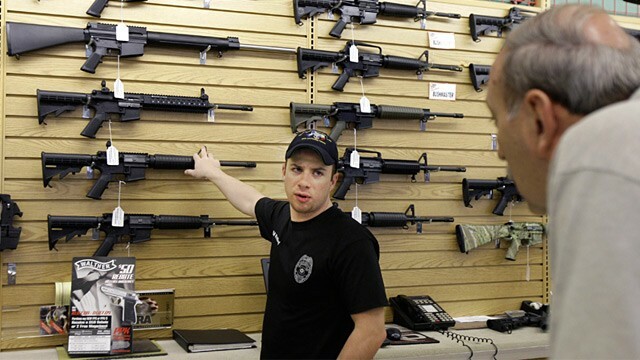 "Oregon law enforcers lead national fight against Obama gun grab" - they say. 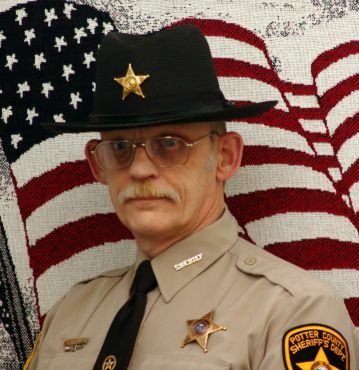 Could it be that the County Sheriffs accross the USA will defend us? 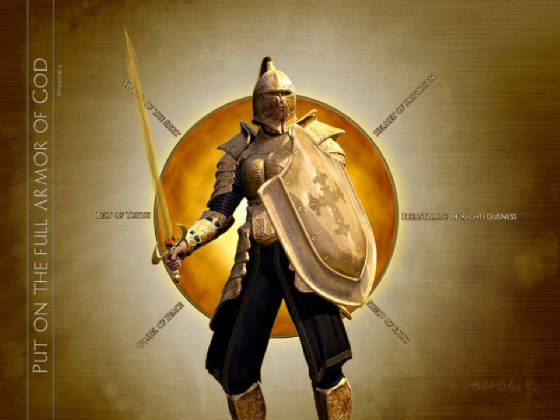 Well, defend us while we pray like crazy, Come Quickly Lord Jesus! (Revelation 22). Many good points -- like Federal executive orders only apply, legitimately, to the US Executive Branch - not beyond it. The Sheriffs all swore their oaths of office to "Defend the Constitution of the United States." Some Sheriffs have written Vice President Biden stating that they refuse to enforce unconstitutional, anti-second amendment directives. Also see new InfoWars article and video (6 minutes) -- Sheriff Mack: Constitutional Sheriffs Refusing to Infringe on Gun Rights IS the Solution. Much more than guns are at stake here. Presidents have illegitimately used their executive orders to end run around the American people and their legitimate lawmaking representitives in CONGRESS. The present occupant of the Oval Office seems to have great propensity to ignore Congress and the American People. I have explained on other web pages that it IS NOT one political party or political bent. We are dealing with the Antichrist's advance men. 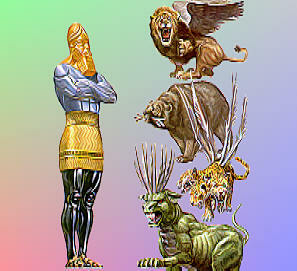 Psalm 2 warns us the Kings of the Earth and the Rulers (demons, fallen angels) are determined to throw off God's rule. Daniel 2 and 7 also show that the fourth gentile kingdom, which we are now in, is composed of toes made of clay and iron mixed. These are evil men, and demons, fallen angels, working together in a concerted attack on God and his people. 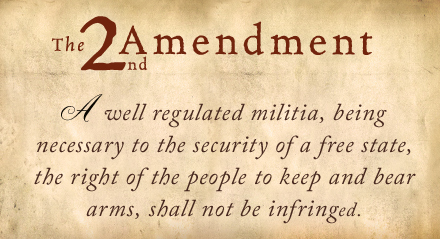 WE WOULD BE VASTLY BETTER, IN OUR DEFENSE OF AMERICA AND OUR FREEDOMS TO OPENLY STATE THAT THESE ATTACKERS OF THE 2ND AMENDMENT ARE SATAN'S ANTICHRIST AGENTS. WE ARE NOT FIGHTING MERE POLITICAL SHENANIGANS. The coordinated attack on gun rights from a wide variety of powerful sources evidences its true source as being global evil entities. This same thing is further evidenced by the characteristic, dishonest, and sleazy tactics used . 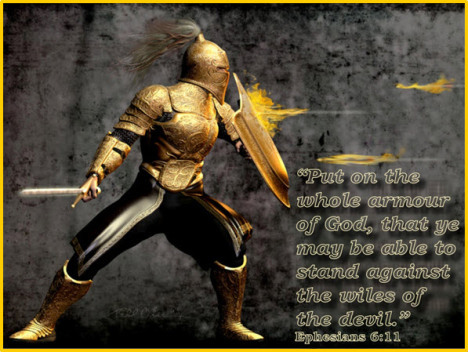 God is telling us that we are fighting demons, fallen angels, etc. 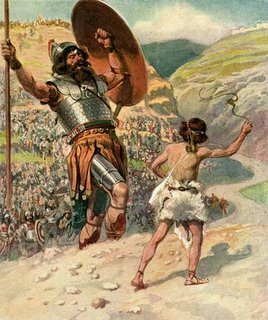 Fighting, and killing, Goliath, the Philistine champion. David - the "Sweet Psalmist of Israel"
Daniel chapters 2 and 7 cover the same ground.